You don't need a Water Tower to put out this fire! Whatever you're pouring, Chicago Drink Tickets keep the thirst-quenchers flowing all night long. This ticket features a matching Event Kit, secure individual numbering, and space to upload one custom image. 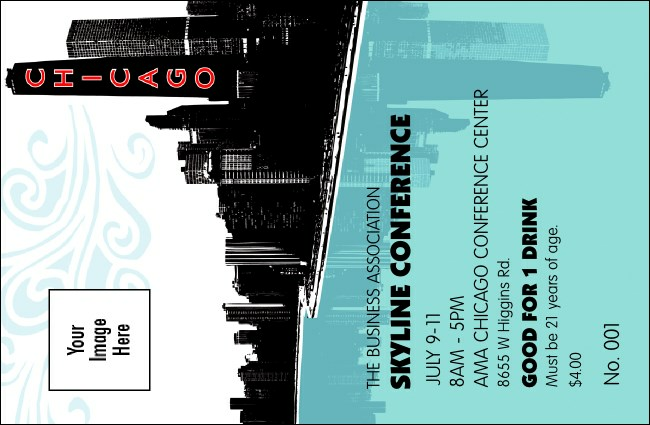 Get ready to take the Windy City by storm! Fill your cups with TicketPrinting.com!